Why Do You Care So Much About (not provided)? I know what you are thinking – not another post about keywords being (not provided) in Google Analytics. Been there, done that. Or have you? Could it be that you don’t really understand what you are arguing? Inspired by a conversation with a dear friend of mine, the Content Scientist, I have come to the realization that there is a lot of misinformation going around about how (not provided) works, why it exists and other conspiracy theories. My goal is to provide some more perspective about what is actually happening and why you should care a lot less about (not provided) than you currently do. First, a primer on what not (not provided) means. In October of 2011, Google made it so that when you search on their site while logged into your account, these pages are served as a secure (https) page and not a standard (http) page. 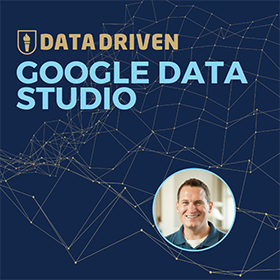 This change resulted in a side effect that prevented referring data from being passed along to your website when visiting from Google.com. What does that even mean? Well, the majority of the web traffic data you see in your web analytics tool is identified by information passed along to your website through your web browsers HTTP referrer property. Your web analytics tool is smart enough to know when a referrer is from a search engine domain like google.com, and can parse query terms out of the referrer string in order to determine the keyword that was entered into the search engine. It’s actually an elegant solution that we take entirely for granted. It’s really just a hack that analytics tools have accepted and implemented to make your referring data more useful. We take it for granted because it works out of the box in modern analytics tools. When an HTTPS page hyperlinks to a non HTTP page, the referrer data is not transmitted as part of the security protocol. With no referrer data, your web analytics tool can’t “hack” its way into determining the search query that was typed into the previous page, so the tool can only say that the keyword was not provided to them. Hence the term (not provided). So far there should be no reason to don your tinfoil hat or think that this is a conspiracy. For myriad reasons, Google made a choice to make their core product (search) more secure and it resulted in a loss of functionality for a secondary product. But You Can Get Keywords From AdWords if you PAY Them! How is That Not Evil? The most common argument that is drummed up to claim that (not provided) is specifically slighting organic search is that you can still receive your keyword data from your paid search programs. Surely, this is meant to push people to pay for search results, right? Wrong. Automatically tagging your Google AdWords URL’s with a unique gclid that allows two Google products to talk to each other. By enabling auto-tagging and opting into data sharing between products, you are overriding the referrer data from a search results page and setting the keyword for your search engine reports automatically. The overriding piece is important to understand. 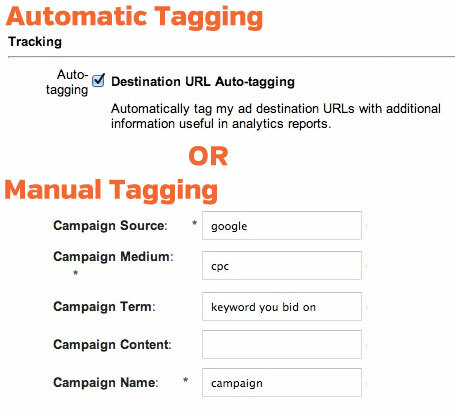 Auto tagging automatically overrides the default tracking method for your campaigns with exact values that come out of AdWords. Manually tagging your paid search campaign (Google or Bing or others) destination URLs with campaign variables (aka utm variables in Google Analytics). By tagging your URL’s with these variables, you are overriding the referring source data with values that you are setting manually. There is a tremendous difference between how keyword data is collected for organic search and paid search. In one instance, you are using a “hack” to infer the keyword that sent data to your site. In the other case, you are either manually or automatically setting the value to be the correct keyword that you paid to send to your site. I can’t stress enough how big of a difference there is between these two methods of data collection. In fact, you would be surprised how many companies are sending paid traffic to their websites without doing any tagging to properly attribute their traffic to paid search. When paid traffic is not tagged, it shows up in web analytics reports as organic searches. This results in overinflated traffic numbers for organic search. You would be surprised at how many of those complaining about (not provided) is not giving them enough credit for their efforts, yet are turning around and taking credit for organic traffic that was generated from paid ads. Why Can’t We Override Keywords for Organic Search? 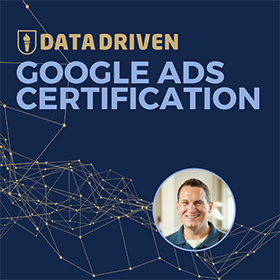 Now that you understand how paid search data is showing up in reports as a result actions taken to override the default data transmission method, you are likely asking why you can’t do this with organic search data as well? If you use more than one web analytics tool, would you expect that both of these are tagged? The only way that this may be possible is by automatically “spoofing” the referrer information that is sent to your website from a Google search page to reflect what the page would look like without HTTPS, but this would likely cause them more privacy issues than it is worth. Why is Google so mean to Organic Search Marketers? 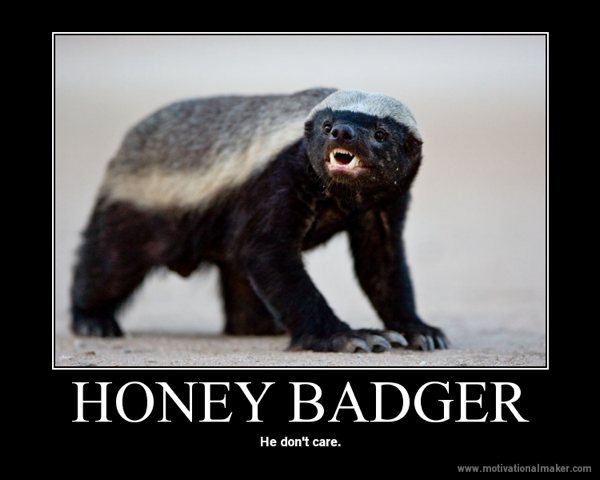 Was Google being mean to SEOs when they gave us an industry-redefining web analytics tool for free? Before Google Analytics, you had to pay $100k+ for a robust web analytics tool that could do this type of analysis. By nature, very few organic search marketers would have the means to invest in such an expensive tool – or else they would have gone into paid search in the first place ;). That’s so useful, isn’t it? Before GA came out, the word “Analytics” was not in our collective vernacular. We called our website traffic “Stats” and we were happy with receiving a lot of “hits”. Things have changed for the better. The only people they were being mean to is the number of web analytics tool providers that they put out of business. And let’s not even get started with the free keyword tool Google provides that has gotten significantly more useful over the years. If Google wanted to make your life difficult, they certainly could. 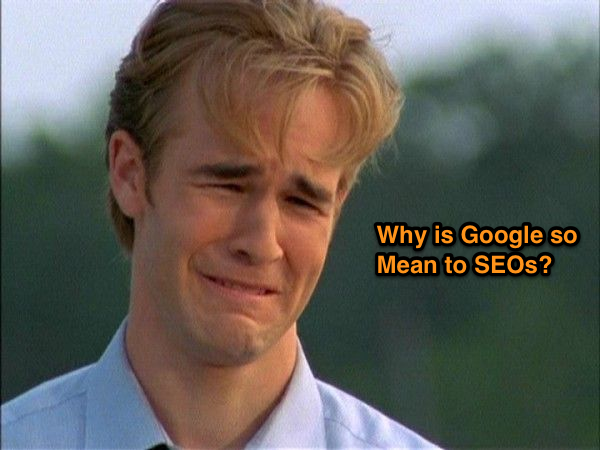 Whether you admit it or not, they have made certain aspects of an SEOs job easier over the years (and yes, I realize that SEO is much harder now than ever, so there is irony in my statement). Why You Shouldn’t Care About (not provided)? All of this is to say that at this point I don’t think you should care much about (not provided). Let’s go through some of the reasons. The reality is that for most well branded sites, the traffic distribution at the top doesn’t move a lot. It’s often brand terms and (not provided) hasn’t changed that. Have you ever tried to reconcile e-commerce transactions between your analytics tool and your cart software? It’s never 100% accurate. What about the clicks you pay for from search engines and display networks? Have 100% of those clicks ever aligned with the visits in your tool? You are looking at an 85-95% alignment at best. The point is that even if keywords were provided, they wouldn’t be nearly as accurate as you want them to be. We need to make decisions off of relative numbers, not absolutes. Are you upset because everything is not perfect anymore? When were things ever perfect? Please tell me a time when SEO was perfect. Was it during the days of meta keyword stuffing? Find me a 2 year period where one pundit didn’t declare SEO dead while another subsequently declared that SEO is more difficult than ever and I will listen to that argument. If your job is to target a niche to determine a keyword phrase to target, are you really going to rely on your web analytics data to determine if you were successful or not? Or will you be searching for your term to see how you can do better? Searching for your term is a way to get an answer in real-time. By nature, using Web analytics tools are reactive. You are only reporting on what happened in the past, not what is happening currently. If you wait until you have a week, month or year of data in order to make decisions, the world will likely pass you by. 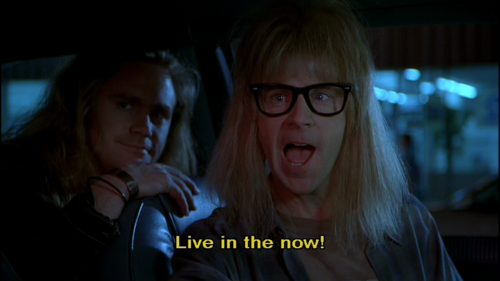 Live in the now dude! Is Keyword Data your Right? Is it that you believe that you have an unalienable right to keyword data? Google Analytics made modern SEO possible. Sure things have changed over time and some features made our lives easier while others were a thorn in our side. That is the nature of this business though, isn’t it? I think that we should stop being upset over what went away and focus our time more on what we can do to make ourselves better. 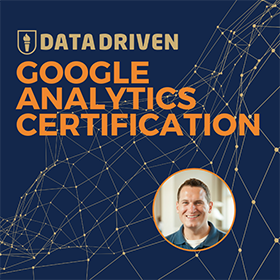 For example, if you have not checked out the activity information available in Google Analytics from members of the Social Data hub, then you are really missing out. These are some of the most useful reports that I have ever used in my time as an analyst. On a long enough timeline, the survival rate for any feature drops to zero. You can either embrace this change and get better or cry yourself to sleep like Dawson did. Your choice. So what did I get wrong? Please sound off in the comments!